Pre-heat oven to 180 degrees. Line a baking tray with baking paper. 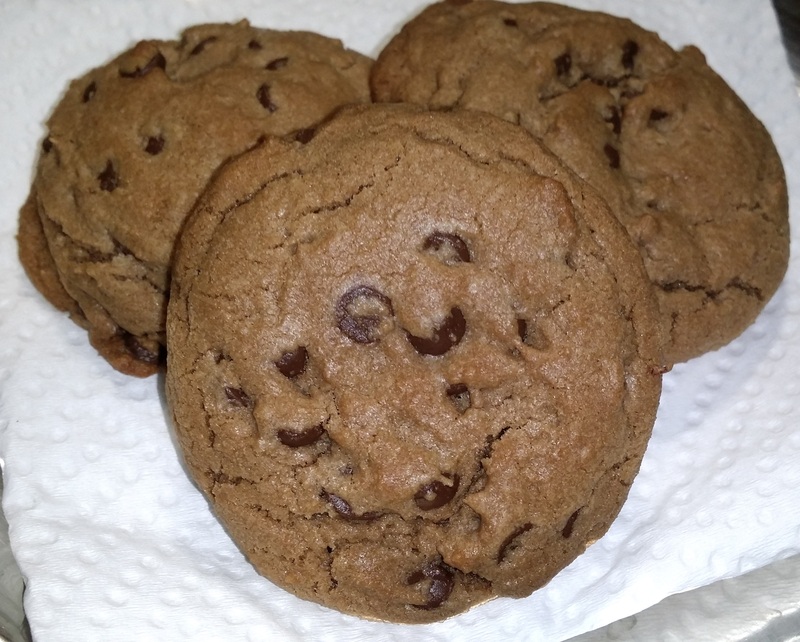 Mix flour, baking soda, cornstarch, salt and choc chips together and set aside (dry ingredients). In a stand mixer, on medium speed beat butter until smooth. Add brown sugar and beat until fluffy. Add eggs, Nutella and vanilla, beat until combined. Lower speed, add dry ingredients a spoonful at a time. Once well combined, use a tablespoon or mini ice cream scoop to form cookie balls. Arrange cookies on a tray with plenty of space in between. Bake for 10 minutes in the oven. Remove from tray and allow to cool (or maybe not) before indulging. Enjoy! *Tip: I usually only bake 8-10 cookies at the time and store the rest of the unbaked cookies in the freezer. If baking from frozen, bake for an extra minute.